Flash Carts other : M3 DS Real, Slot-1, Micro SD HC, Rumble Pack Bundle Version (w/o memory) - SHOP01MEDIA - console accessories and mods, retro, shop - One Stop Shop! Top quality and compatibilty. Same as M3 DS Simple but also supporting rumble feature and HC memory modules.Top quality and compatibilty. Same as M3 DS Simple but also supporting rumble feature and HC memory modules. 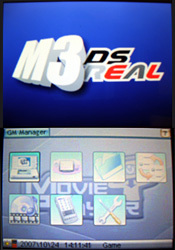 The M3 Real is one of the best quality choices. 100% Game compatibility, supports clean ROMs - works on any DS. 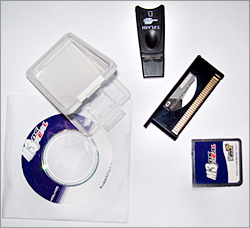 Extreme simple to use: just drag and drop files to the M3 Cart. 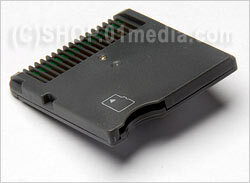 Built in PassMe (NO need to use with any boot cart/passcard etc. DirectBoot: Support directly booting games or applications. - Super E-book function , support Word/ Txt file directly . - Super picture viewer function , support *.BMP, *.JPG, *.GIF, *.PNG directly. 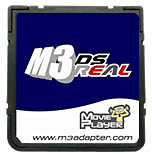 Save files from many other backup devices can be converted and used with M3 DS Simply! It should work with saves from SuperCard, M3, DSlink, AceKard, EZflash IV and Ewin. NOTE: No CD is included. Please downlaod latest software from our support page.